The Edison Studio collective, with the support of the Italian Society of Authors and Publishers (SIAE) for the project “SIAE – Classics of Today“, and with the collaboration of the Cineteca di Bologna (Film Archive of Bologna) and the Romaeuropa Festival 2018, announces the III edition of the “Sounds of Silences” International Competition of Musical Composition for the Moving Image. 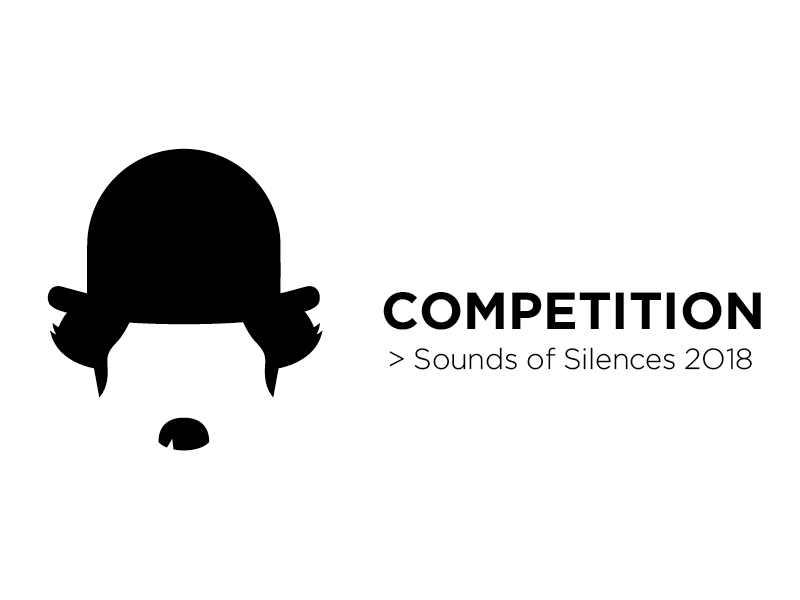 The aim of the competition is to stimulate musical creativity in its interaction with the audiovisual media, particularly for the reinterpretation of historical silent films and the creation of new soundtracks for them, with a special concern for timbre in instrumental, electronic and electroacoustic music of today. In the preliminary stage of the competition entrants must submit an audiovisual work the musical part of which they themselves have composed, which must be sent by 15th May 2018. An international jury consisting by Simon Atkinson (composer and lecturer at Media School, DMU University Leicester, U.K.), Bret Battey (composer, visual artist, and reader at Media School, DMU University Leicester, U.K.), Valentino Catricalà (Curator and contemporary art critic – Artistic director of Media Art Festival, Rome), Giulio Colangelo (Composer, Professor of Electroacoustic music at the Conservatory of Alessandria – Artistic Co-director of MAIN Materia Intermedia Festival), Agostino Di Scipio (composer, professor of Electroacoustic music at the Conservatory of l’Aquila), Ivo Nilsson (composer), Robert Normandeau, (composer and professor of electroacoustin composition ad Montrèal University, Canada), Kent Olofsson(composer and professor at Inter Arts Center – Lund University, Svezia), Paolo Pachini (composer. video-artist and professor of Audiovisual composition at Conservatory of Music – Trieste), Barry Truax (composer and professor at Simon Fraser University Vancouver, Canada) will then select four finalists among the entrants, who will be invited to create a soundtrack for a medium-length movie from the silent film era chosen by Edison Studio in collaboration with the Cineteca di Bologna. The 2018 edition is dedicated to Charlie Chaplin’s movies. This work must be completed and sent by 20th of October. A second international jury consisting of Monique Veaute (president of the jury and the president of Romaeuropa art and culture foundation), Valentino Catricalà (Curator and contemporary art critic – Artistic director of Media Art Festival, Rome), Carlo Crivelli (composer, author of movie sountracks), Alvin Curran(composer), Ivo Nilsson (composer), Andrea Ravagnan (Cineteca di Bologna), will award cash prizes to the finalists during a public event scheduled for November 2018 as part of Romaeuropa Festival 2018 at Macro Testaccio La Pelanda , Rome. 1) 1) The association Edison Studio, in collaboration with the Italian Society of Authors and Publishers (SIAE), the Cineteca di Bologna and the Romaeuropa Festival, announces the third edition of Sounds of Silences International Competition of Musical Composition for the Moving Image. 2) The competition is open to all composers of any nationality born after 31/12/1982. Participation in the competition can be either individual or collective. Any composers who received an award or prize in the previous edition of the competition are not allowed to participate. 3) Po enter the competition all candidates/competitors must do the following, by the date of May 15th 2018, 6 pm: fill in the online registration form available in Italian and English containing a specific attachment in which they must declare their own authorship of the soundtrack they are presenting and give their authorization for the processing of their personal data. Each candidate may participate with only one work composed exclusively by himself/herself, but there is also the possibility to submit a second work created with at least one other musician (whose identity must be specified). In the online entry form a link must be provided for viewing in streaming the work they are submitting for the first stage of the competition (e.g. Youtube, etc.). In case the video is not public domain, the link must be a non-public one. The organizers of the competition accept no liability for any problems related to the streaming quality of the work submitted. As regards the visual part, the candidates can choose to use an original or pre-existing video, as the assessment will be made exclusively on the basis of the relationship between the soundtrack and the moving image. By the 1st of June 2018, the secretariat of the competition will communicate to the candidates the confirmation of receipt of the registration forms and the works they have submitted to the competition.